ConSol is an IT consulting company. Enthusiasm for coding and hacking is what unites us. ConSol Labs is a technical playing field where we can share our Open Source involvement. We use this site to blog about our area of personal interest, from the daily business at work and from our spare time projects. AWS offers a great service called “Amazon Elastic Container Service for Kubernetes” (AWS EKS). If you overload such a cluster it easily happens that your Kubelet gets “Out of Memory” (OOM) errors and stops working. Once the Kubelet is down you can see kubectl get nodes that node is in state “NotReady”. In addition if you describe your node kubectl describe $NODE you can see the status description is: “System OOM encountered”. If you look on your pods kubectl get pods --all-namespaces you can see that pods are in state “Unknown” or in “NodeLost”. Kubelet OOM errors should be avoided by all costs. It causes to stop all pods on that node and its quite complicated for K8s to maintain high availability for applications in some cases. For example for stateful sets with a single replica k8s cannot immediately move that pod to another node. The reason is that k8s does not know how long the node with all its pods stays unavailable. Therefore i like to share some best practice to avoid OOM problems in your AWS EKS clusters. 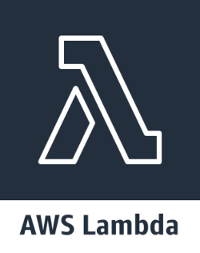 In the first article of this series, Getting started with AWS Lambda, we used a Cloudformation template to provision and deploy all needed parts for our REST application. In this and the following articles, we are going to explore components used in the template. The focus of this article is the network infrastructure components. Recently, I stumbled on a situation where I wanted to add a couple of values to an OpenShift deployment configuration. Previously I had modified or added a single attribute in a yaml file with oc patch. So I started to wonder whether it is possible to update multiple attributes with oc patch as well. To get right to the result: Yes, it is possible. This article will show you which features oc patch and likewise kubectl patch really have, beside a simple modification of one attribute. Kubernetes and OpenShift have a lot in common. Actually OpenShift is more or less Kubernetes with some additions. But what exactly is the difference? It’s not so easy to tell as both products are moving targets. The delta changes with every release - be it of Kubernetes or OpenShift. I tried to find out and stumbled across a few blog posts here and there. But they all where based on not so recent versions - thus not really up-to-date. So I took the effort to compare the most recent versions of Kubernetes and OpenShift. At the time of writing v1.13 of Kubernetes and v3.11 of OpenShift. I plan to update this article as new versions become available. 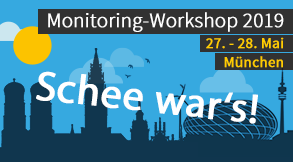 05 Feb 2019 | Java Licensing: Is the Free Lunch over? The license change to Java SE 8, as well as the new license for Java SE 9 and onwards lead to confusion within the Java community. Looking for information on the web, one finds results in the spectrum from “Is Java in Jepoardy?” to “Java is still free!”. The good news is: yes, Java is still free. The bad news: not necessarily Oracle’s Java distribution. In this article, we discuss the situation revolving around Oracle’s license change and its consequences. 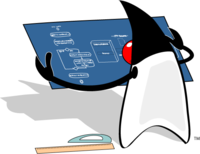 For this, we need to understand how the Oracle JDK is connected to OpenJDK. Furthermore, we take a look at some alternatives to Oracle’s Java distribution and how divergence between the different distribution is avoided. OMD Labs Edition 2.80 has been released today. The OMD Labs Edition is based on the standard OMD but adds some more useful addons like Grafana and Prometheus or additional cores like Icinga 2 and Naemon. This release updates many of the shiped components and adds some more usefull features.